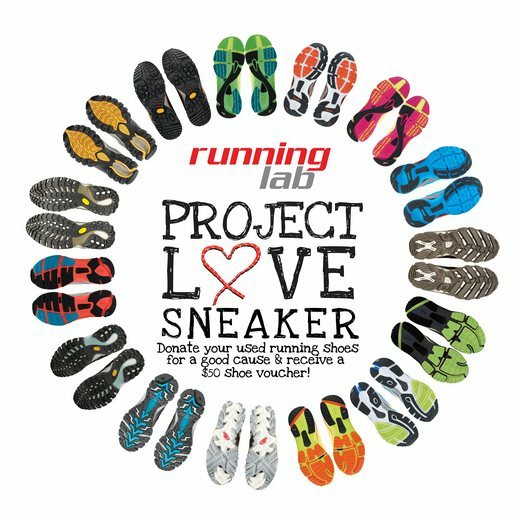 Organised by Running Lab, Project Love Sneaker is back to serve the running community’s desire to recycle their “retired” running shoes that are still in good condition. Started in 2010, this shoe-donation drive is now in its 8th year running and will be held from 1 to 30 April 2018 at all Running Lab stores. Project Love Sneaker has increasingly gained traction and interest not only within the running communities but the general public over the years. Running Lab has been dedicated and committed to reaching out to a wider audience to spread the meaningful notion behind this campaign and this year is no different. In line with the Running Lab concept and what it stands for, the shoes will be donated to social service organisations supported by Community Chest to help those in need. Running Lab is a specialty running store retailing technically advanced running apparel, accessories and footwear. Staffed by sports trainers and experienced runners, customers are assured of the right expertise recommending the right pair of shoes for their foot types. The objective is simple – maximise performance, reduce the risks of injuries. More than just a business venture, Running Lab not only promotes fitness and a healthy lifestyle, it is also in the DNA of Running Lab to give back to the society. It has been observed that regular runners replace their running shoes after clocking in certain mileage, typically 600 to 800km. Most of the time, these shoes are still in relatively good condition and it will be a waste to dispose them. That’s why in 2010, Running Lab decided to provide an avenue for runners to give a second life to these used running shoes. To donate the used shoes for a worthy cause and make a difference to the lives of the less fortunate. All shoes will be donated to social service organisations supported by Community Chest, such as AMKFSC Community Services LTD, Montfort Care @27 Family Service Centre, Kreta Ayer Family Services and many more. Donate your used running shoes in clean and re-usable condition during the donation drive and receive a $50 voucher which you can use to buy yourself a new pair of running shoes.